What’s your view of Hypnosis? Now, you may be reading this and maybe my story is resonating with you or maybe you have an interest in relaxation? in Mindfulness? Perhaps you’ve previously experienced Hypnosis and loved it and had great success with it? Maybe you’ve heard of all the sports personalities, celebrities or maybe people like you and I that have used Hypnosis to improve their results or life – e.g. Kevin Costner used it to get over his seasickness so he could film ‘waterworld’. Maybe you know people that have lost weight, stopped smoking, gained confidence or experienced other benefits from Hypnosis? Maybe you’re just curious about how Hypnosis may be able to help you? 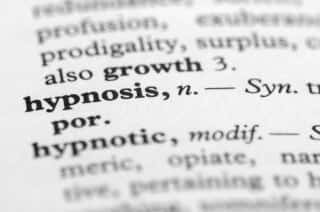 What is Hypnosis vs. Hypnotherapy? In essence Hypnosis is a state of relaxation and has been around for hundreds of thousands of years. We use ambiguous language in order to engage the unconscious mind and keep out the chitter-chatter of the conscious mind (we even leave out words or deliberately build in pauses to allow the unconscious mind to fill in the blanks and make it relevant to the listener – making it highly effective). All Hypnosis is actually self-hypnosis – your given an instruction or a suggestion and you decide whether to follow it or not. In the case of Hypnotherapy its about using hypnosis to bring about positive change for the person. If we take confidence as an example – as the hypnotherapist I’d want to tailor the change for the person and it could be that they want to be more confident around their boss – if that’s the case I could make a suggestion when the client is hypnotised, that actuates after the hypnosis has finished – such as ‘next time you see your boss you will have an overwhelming feeling of confidence’. The best comparison I can give you to help you understand what it feels like is to get you to think about when you go to sleep – you know when you are drifting off and that moment between when you are aware of everything around you and totally relaxed, but just before you actually drop off to sleep? – that floaty feeling? You are aware of everything around you, but somehow it doesn’t matter. In the early days of me learning about hypnosis, it was as much about me being taught about how to do hypnosis as the client, as much as it was doing it with others. It was a lot about trust (me trusting myself and trusting the person that was working with me). I fell in love with Hypnosis (as most people do) – the feeling of being deeply relaxed – the absence of mind chatter – and the benefits of the changes to my thinking. Yes, if you can follow instructions (the only challenge is when someone has already decided they can’t be hypnotised and therefore there is no surprise that they can’t be). 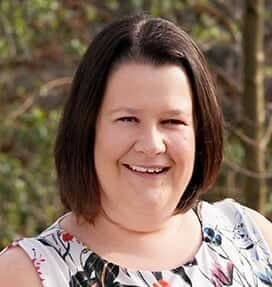 Laura is not only a Master Hypnotherapist, but also a Trainer of Hypnosis and this means she is able to teach others how to effectively use Hypnosis with their clients too. Having hypnosis in our tool kits as coaches gives us more options to help clients. 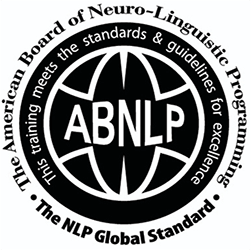 We find that people who have completed NLP Practitioner training with us and then go onto train as a Practitioner of Hypnosis are pretty awesome at it – this is because of their really good understanding of language (both as client and practitioner). Want to find out more about Hypnosis?